Today's Forecast: Mostly cloudy. Low 12C. Currently Clear 18.3°C With Wind Calm. 1017 mb. Sunrise: 7:41. Sunset: 19:13. Below is the live temperature and air pressure here in Nerja plus the forecast for the next few days, and at the bottom of the page is more information about the weather and climate in general here including average monthly temperatures in Nerja. Partly cloudy skies this evening will become overcast overnight. Low 12C. Winds light and variable. Cloudy skies with periods of rain later in the day. High 19C. Winds WSW at 15 to 30 km/h. Chance of rain 90%. Rainfall around 6mm. Winds could occasionally gust over 65 km/h. Partly cloudy skies. Low 8C. Winds WNW at 15 to 25 km/h. 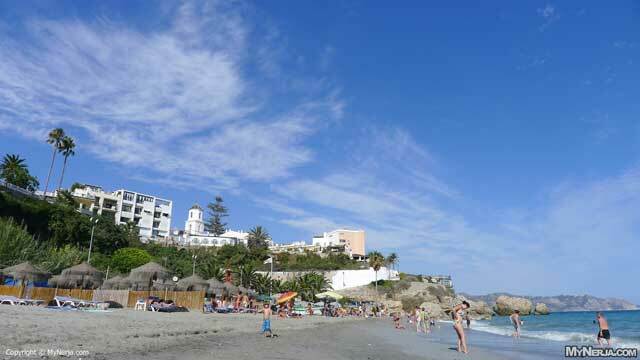 The good news is that the climate in Nerja is one of the best in Europe. The town basks in the sun for at least 300 days of the year, with over 200 of those being more or less cloud free. The Nerja weather is heavily influenced by its location. The mountain ranges to the north protects it from much of the cold air and rain moving south, and its distance from the Atlantic results in the rain carrying clouds from that direction having deposited much of their contents before arrival or have evaporated. 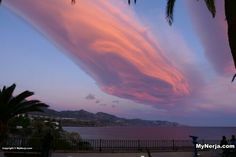 The warm air from Africa and the warm Mediterranean also contribute to the privileged climate enjoyed in Nerja. 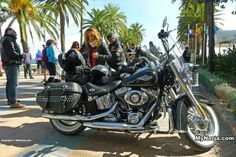 So when is the best time to visit Nerja to ensure perfect weather? The months of May, June, July, August and September are statistically the driest although May and September do produce some rainy days. It rarely lasts during these months and with temperatures in the mid 20’s this is a fantastic time to visit Nerja for anyone (see graph below). 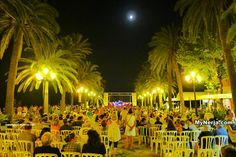 Walkers, sunbathers, water sports fans, all can enjoy their Nerja holiday without concern for oppressive temperatures. The summer months are almost always sunshine, sunshine and yet more sunshine. In the words of The Fast Show weather forecast, Scorchio! If you like it hot, and some do, this is the time to visit. April and October are very similar in rainfall and sun, with beautifully warm days and occasional showers. Throughout the year it is unusual to have prolonged periods of bad weather, so it is a very unlucky tourist who stumbles upon such an event. Even during the winter months the appearance of the sun can push temperatures in the sun up to 20 degrees or more, making this time of year perfect for walking in the mountains or just relaxing. 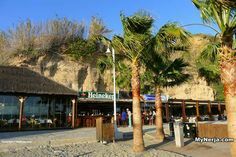 The truth is anytime is a good time to visit Nerja. 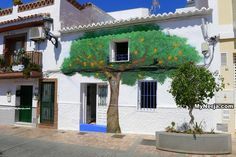 Holiday rentals are plentiful and cheap outside of the high season, and with such a fantastic climate in Nerja there is no need to wait until the summer. 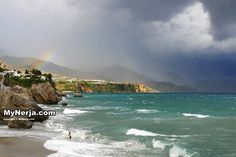 The Nerja weather forecast on this website is updated continuously and a daily weather forecast is posted on our Facebook group every morning. Our weather station runs on Sandaysoft Cumulus software.